Yep, that's the address for emails you want to send reporting suspicious and potentially collusive play at partypoker. And the email address is there for a reason! Back on October 21, a TwoPlusTwo poker forum member named "FarseerFinland" alerted the poker community with this post: "Huge collusion ring at high-stakes MTTs at partyPoker." 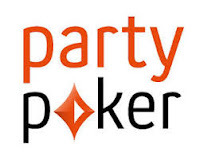 PartyPoker, which has been striving to overtake PokerStars as the #1 online poker site, took this post very seriously and immediately responded to it. The original poster to this thread has been playing online games at PartyPoker for more than a decade and now plays under the name "DukeOfSuffolk". Two very suspicious plays were detailed in a complaint to PartyPoker, both in $109-and-up buy-in poker tournaments. PartyPoker investigated the claims and quickly confirmed them. Its investigation led to bans from the site as well as repayments to those who were victimized by the collusion ring. Prior to his posting and prior to PartyPoker's investigation, "DukeOfSuffolk" launched his own very thorough investigation, citing several hands and identifying groups of players he determined were involved in the collusion ring. He went on to add several more players to the ring as his investigation progressed, providing links to their hand-histories and details of their finishes in these suspected tournaments. And finally PartyPoker managing director Tom Waters confirmed that "a group of accounts were found to be playing in teams in order to collude against other players." My take: Well, I guess the email address collusion@partypoker says it all. According to a 3-D animation firm CEO named Darrell Ratliff, casino cheating can be detected simply by the casino chips coming out of the dealer's chip tray via cheating itself. Well, that's what Ratlff says. He has received a patent for a device he calls "The Smart Chip Tray." 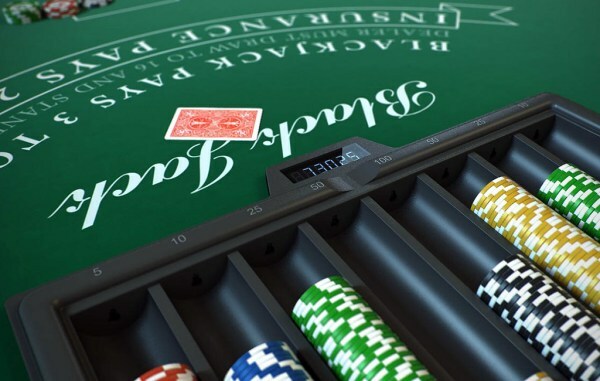 It is a casino chip rack that uses lasers to track the chip-movement in each of the rack's slots. So by tracking chips disappearing out of the racks to quickly, casinos can catch on to cheating scams. What do I think of this casino-cheat-detecting chip rack? I would rack it up to another worthless prevent-casino-cheating claim. I mean, after all, what about all those legitimate players who get on a lucky streak and wipe out the chip racks during a string of winning hands?